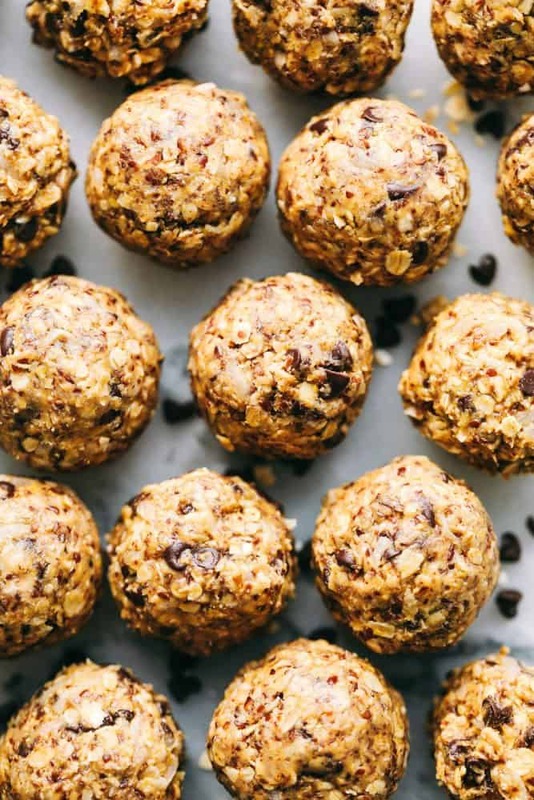 These look like something I could make and eat before I go for a run. I am really bad about eating before a run. This looks fast enough that I might actually eat, which would be way better for me. What is the calorie content of the protein poppers? These do sound easy and good! 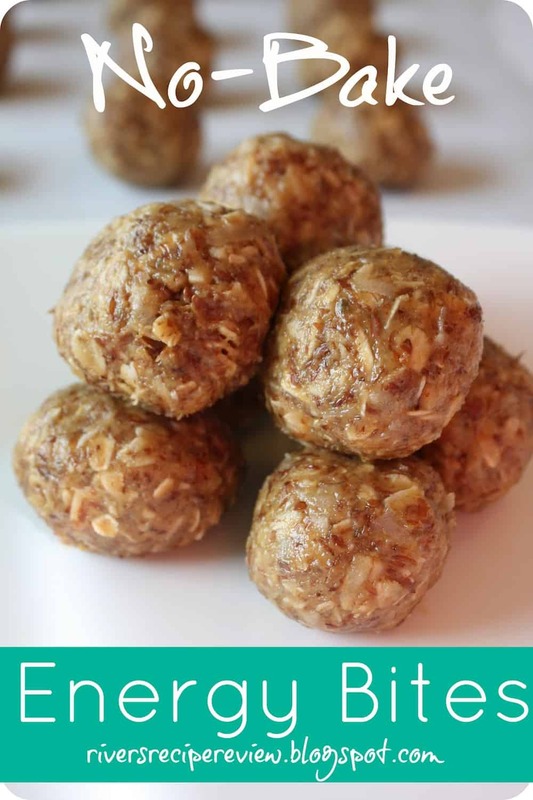 These look lovely and also very easy to make and keep on hand for whenever hunger strikes. Also customisable – which is always good. And so are the kids…. What would you suggest using instead of the nut butter for someone who’s allergic to nuts? & if possible, what would you switch the coconut for? If you have a Meijer’s near you, they carry the sunbutter!! What could you substitute for the flax seeds if anything? 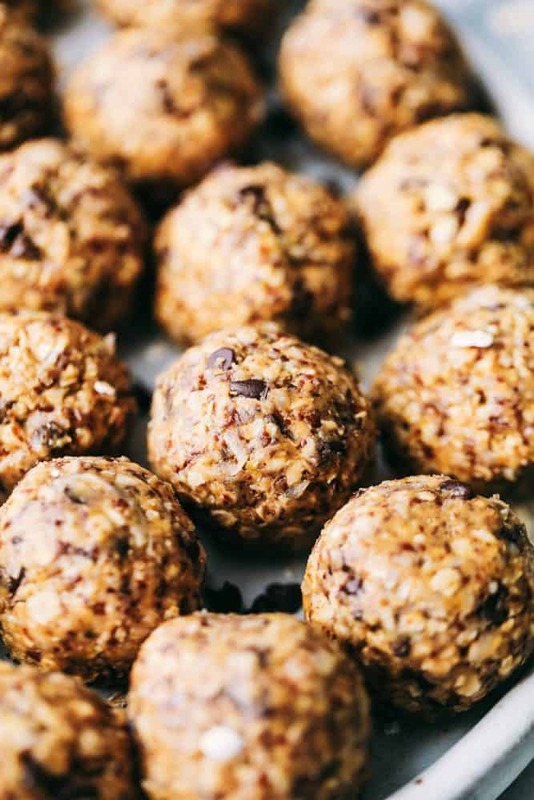 Do you know how many calories are in each ball or in a serving? Can these be frozen if made in bulk? I made these with almond butter & they are delicious, but I had to use twice the almond butter to keep it all together. Left out the choc. chips & vanilla. Delicious! I have had 3 as my breakfast today! Sounds great! going to give these a try! Do you have nutritional info for those? I LOVE protein bites! I can’t wait to try these! They sound amazing! did you credit the original recipe anywhere? i can’t seem to find it.. Thanks for being the recipe credit police on that. 😉 but yes I always give credit where credit is due. these look very good Looking forward to making and eating them. These sound amazing! What is the nutritional information, please? are these instant or old fashioned oats? How many bites roughly does this recipe yield? I’m looking for a packaged granola bar substitute for morning snacks that is low sugar and low calorie but still filling and giving energy. These sound great but just wondering if I should double up on batches and freeze some or if they make a good amount? Sorry I mean I used half honey and half maple syrup! Sorry for the confusion! Just made these… Sooooooooooooooooooooooooooooo good! I seriously don’t think they’ll last until tomorrow… Thanks for the recipe! Do you have to ground the flax seed or can you use them whole? I made these last night and they were so good!!!! I will be making them again! How terrible is it to roll these without chilling first? 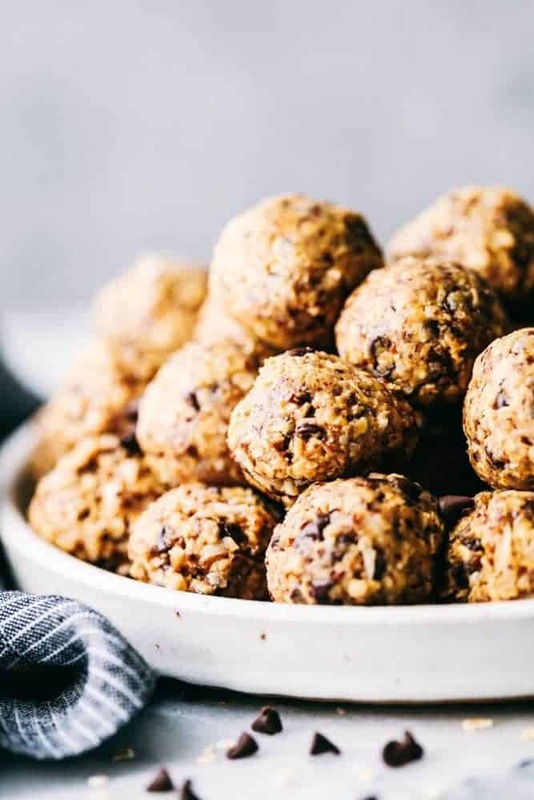 I am planning a healthy snacking event for a girl scout troop and want to do these, but concerned about the time it would take to chill these. One more question..how many poppers does the original recipe yield? What could you sub for the coconut. And what kind of peanut butter do you use? I just used natural peanut butter. There are so many things that you could sub out for the coconut or just leave it out all together. I would like to know how much protein these have in them ? Why work so hard? Just smoosh them into a pan and cut them small like fudge! I was wondering, how many balls are one serving? Also, mine dind’t seem to want to stick together–could it be from chilling too long? Or because i used chunky peanut butter as well as I added in sunflower seeds (like too many chucks made it not hold together?) Should i use double the amount of honey then or how would i fix that? I also did try smooshing it in a pan to just make bars, but again, they dont’ want to completely hold together. They are delicious though. I made these a few minutes before my kids got home from school. They were a big hit! I melted the peanut butter and honey together and then added everything (I used unsweetened coconut) and stirred them up. I scooped them out with a small cookie scoop, pushing them against the side of the bowl to pack it in. I then chilled them in the freezer for a few minutes, and they were perfect when my kids walked through the door. Thanks for a great healthy recipe with natural ingredients..love it! 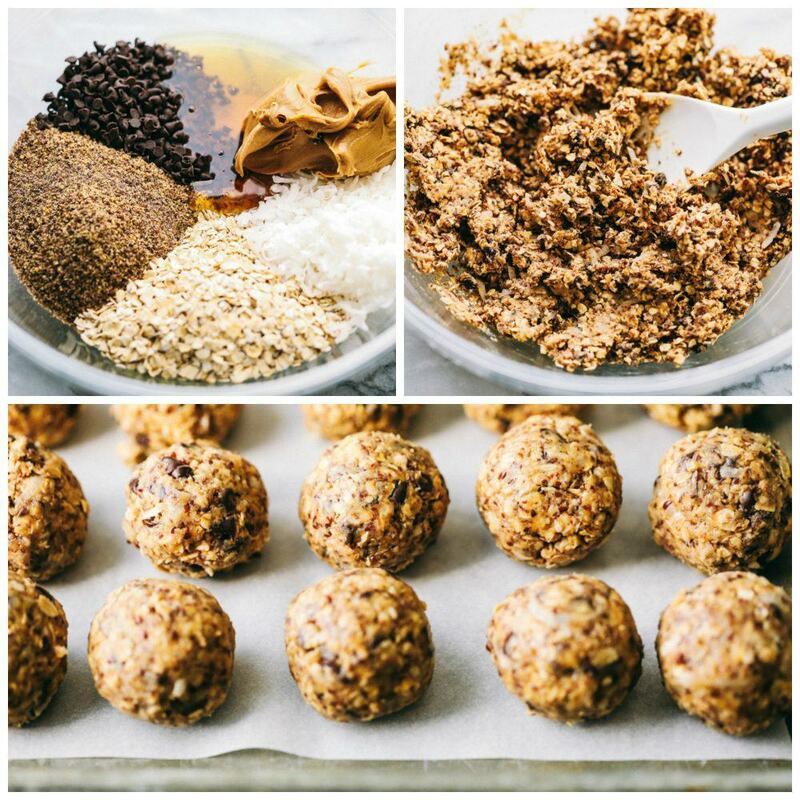 Charlie’s energy balls! Awesome. I’m going to try these out! About how many energy bites does this recipe make? Thanks! I was able to make about 20 to 24 with a big scooper. IT depends on the size of bites that you are making.